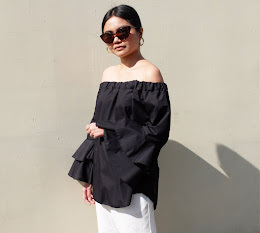 Sharing on the blog today my newly found shopping haven, BeautyMNL.com, the country's #1 online shopping destination for makeup, hair care and skincare. A few of my friends have actually given positive reviews about the site so I was looking forward to trying it out for myself. As with every first time purchase on a new website, I usually just order one thing to see how the entire process goes. I bought a bottle of COSRX's BHA Blackhead Power Liquid, a product that's been on my to-buy list for the longest time. Containing 4% Betaine Salicylate, this chemical exfoliator gets rid of blackheads quickly and clears clogged pores. 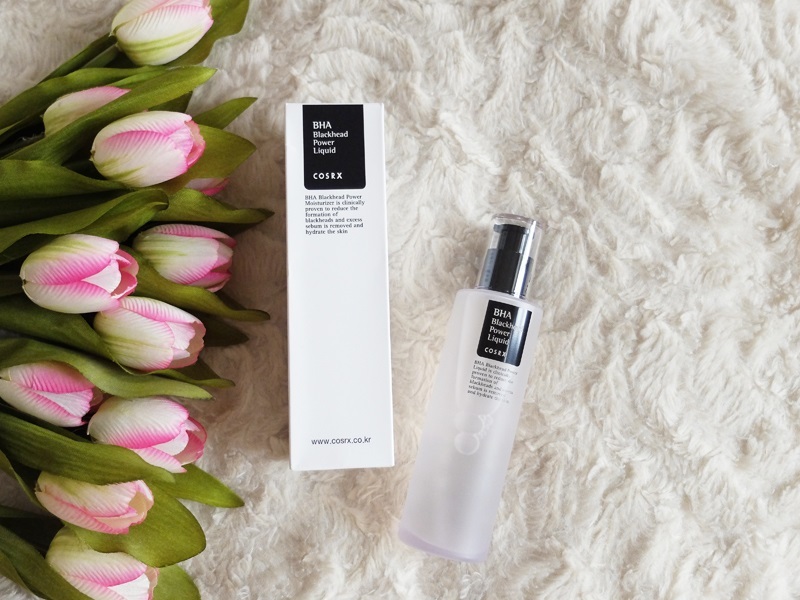 COSRX is fast becoming everyone's go-to brand and every Asian Beauty routine you see on Instagram includes at least one of their products. 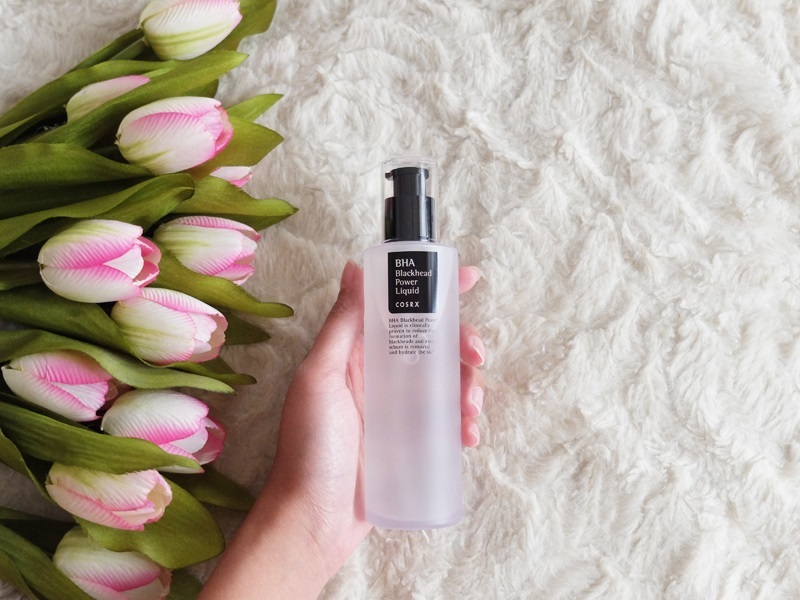 I really love their Low PH Good Morning Gel Cleanser (it's one of my Holy Grail products!) 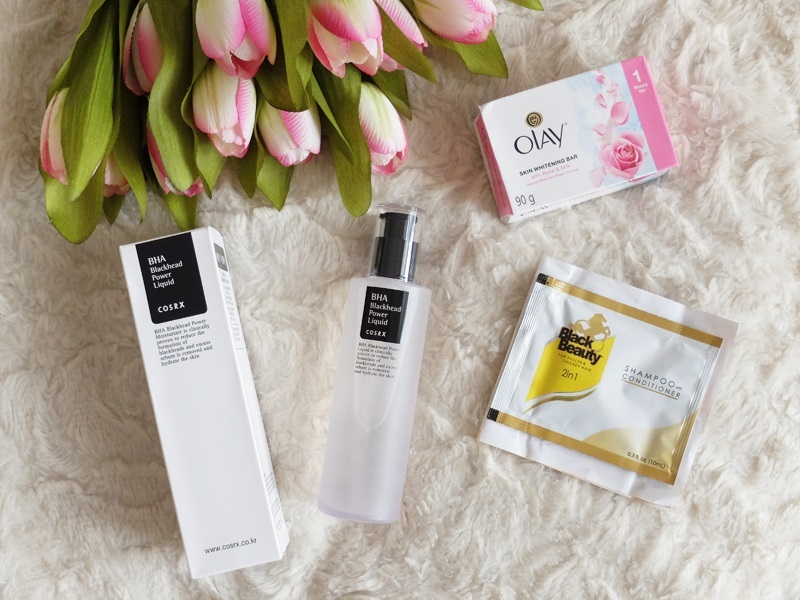 so I was excited to finally add another item from the brand into my skincare routine. I was quite impressed with how straight forward everything was. The website was very user friendly and I didn't have any difficulty navigating between each tab. The products were all labelled and categorised accordingly and it was very easy to sign up. Overall, it was a quick and hassle-free transaction, I will definitely be ordering again. 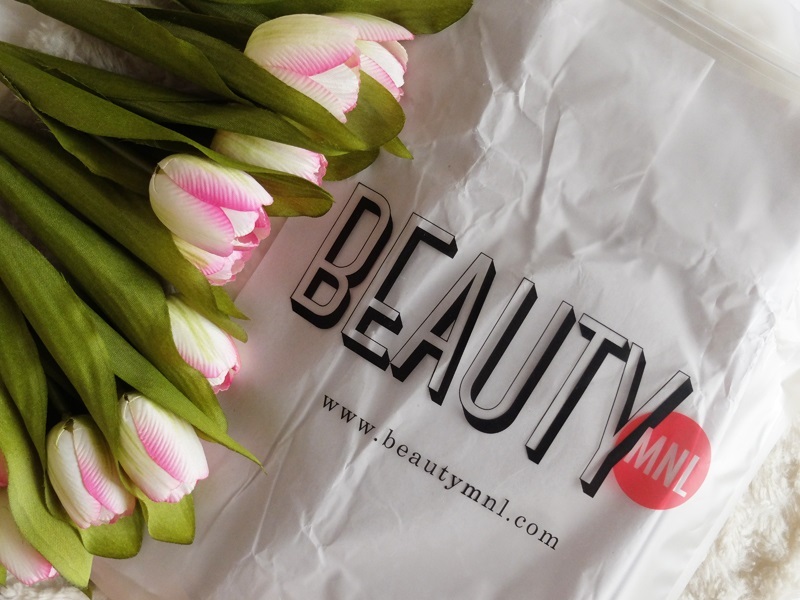 BeautyMNL offers a wide variety of beauty products. From the latest makeup to cult skincare favourites, there are lots of options to choose from. I like that they carry brands that are not readily available in Cebu like Anastasia Beverly Hills, Kylie Cosmetics, Beauty Blender, Pixi, OFRA and RCMA amongst others. Additionally, they announced last weekend that they are now selling Colourpop Cosmetics. If you've been eyeing their super popular lippies, waste no time— I hear they're getting sold out pretty fast! Aside from Western brands, they also stock Korean best-sellers from Tony Moly, Mizon, Innisfree, Holika Holika, Banila Co., and Benton. So if you're a K-Beauty enthusiast like me, there's no more need to order abroad. My COSRX purchase was definitely cheaper compared to other shopping websites. Some products on the website are priced more or less the same in malls but you can definitely save money when you take advantage of their promotional sales and seasonal offers. Credit card; bank deposit and online/ mobile bank transfers for Banco De Oro (BDO), Bank of the Philippine Islands (BPI) and Metrobank are all accepted mode of payments. For those based in Metro Manila, they also have Cash-on-Delivery. Shipping was fast. I ordered in the evening of October 4th and received my email shipping confirmation the morning of October 6th. The package was then successfully delivered to my residence by mid-afternoon of October 8th. My order was securely packaged in bubble wrap and placed inside a clear, resealable plastic bag. The products arrived in excellent condition— no damages nor leakages. 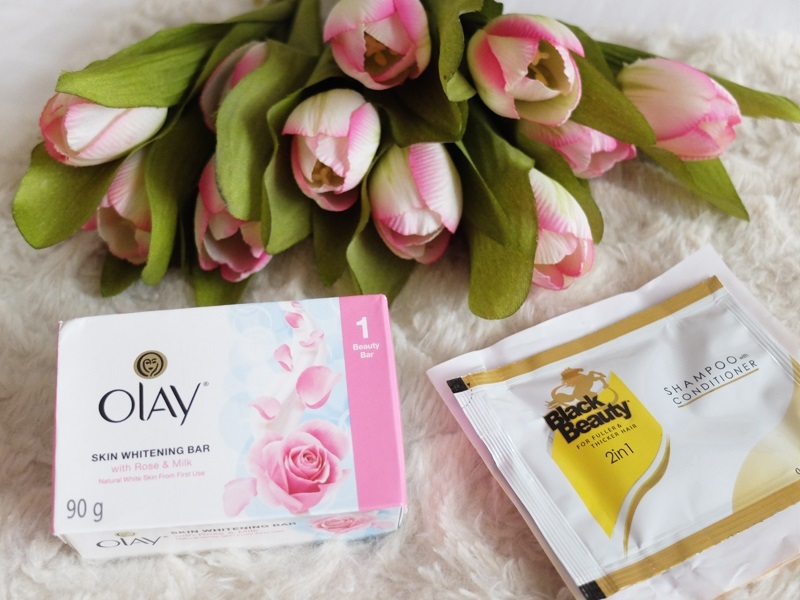 Upon check out, I was surprised to learn that there were two free products included in my package: an Olay Skin Whitening bar and a sample packet of Black Beauty shampoo with conditioner. Other websites usually have a minimum order requirement before you can avail any freebies so I was quite happy about these inclusions. 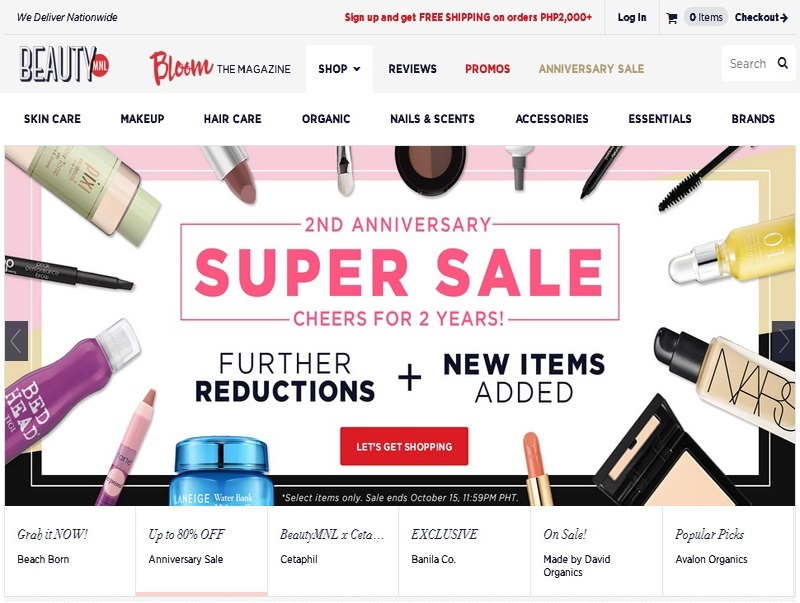 They are currently running their 2nd Anniversary sale, where shoppers can enjoy up to 80% off on 700+ items. Hurry, the sale is only until tomorrow, October 15 at 11:59PM! 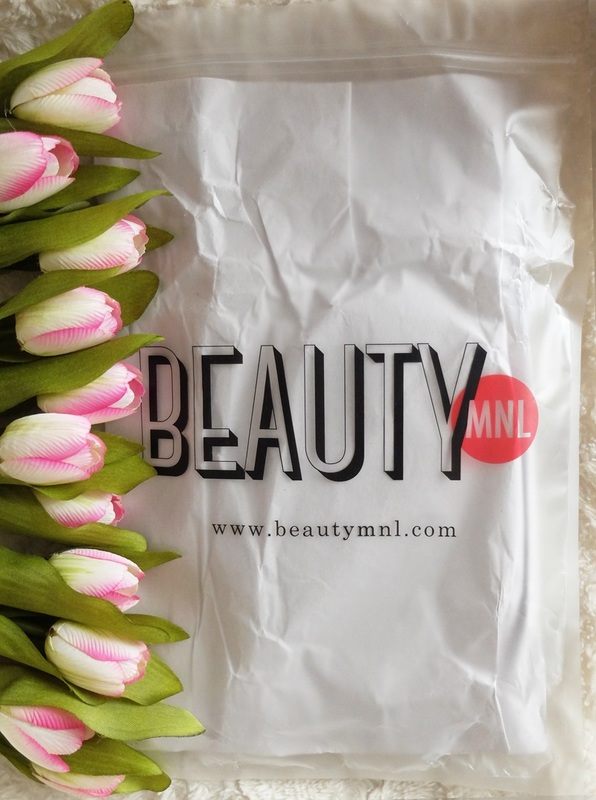 What's on my next BeautyMNL wishlist? I'm thinking of getting a Beauty Blender, maybe something from Benton and I am hoping they will be restocking the COSRX AHA/ BHA Clarifying Toner soon. Lastly, don't forget to join their give-away! If you like taking selfies, join the #selfieMNL contest and get a chance to win a Printster polaroid of your pretty face and a PHP200 BeautyMNL GC. Click here for complete details. I got curious with this product. Please do a review and share your experience. I have an oily face and prone to blackheads.